of three numbers for the first time. was to find combinations of ten first. 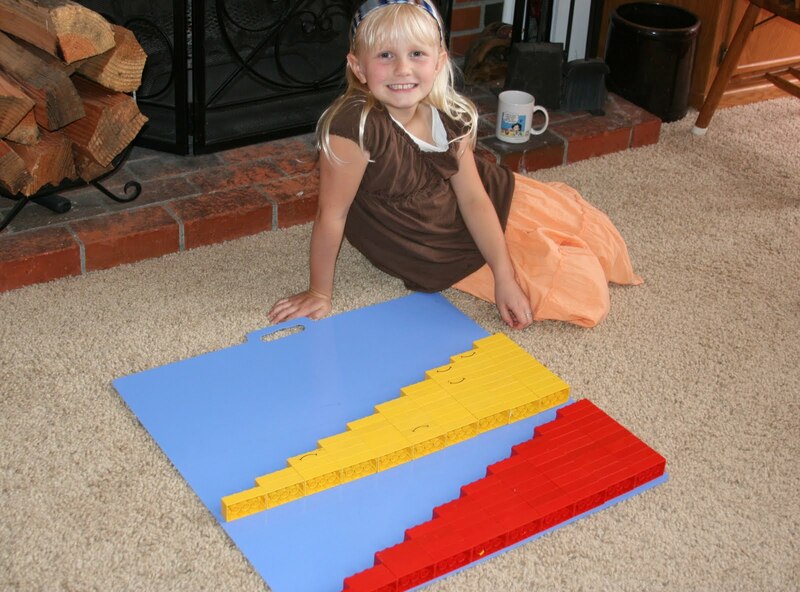 Every member of this family has to = 10.
from 1 to 10, in two colors. 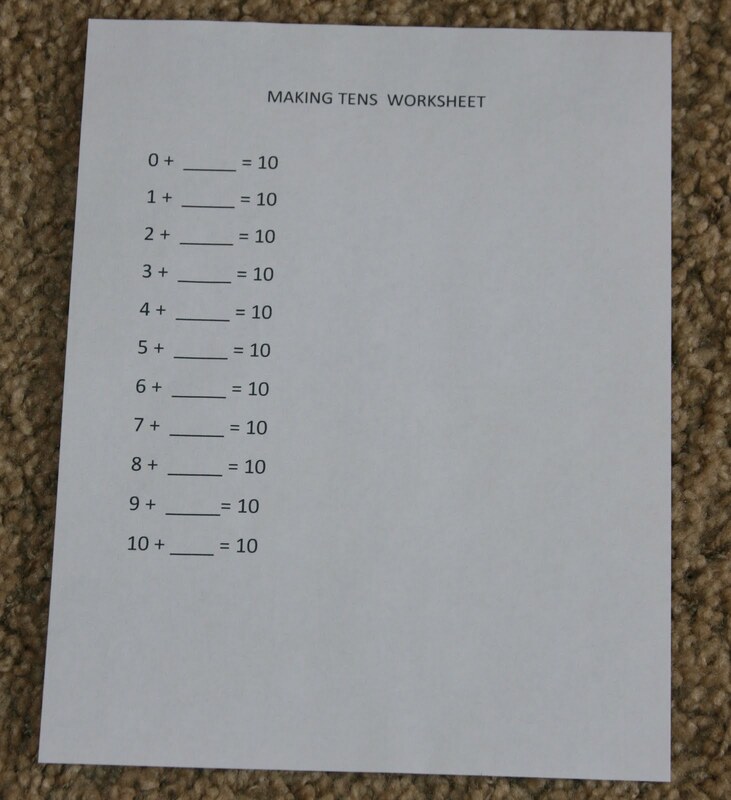 I made a simple worksheet using Word. and the beautiful patterning of numbers. and make Math class feel like play time. who would feast on your manipulatives. Next, I had her match up problems with the same addends. (The numbers you add together are the addends. This is the Commutative Property for Addition. they usually are learning two problems. In this case, 5 + 5. I use the term Commutative in first grade. If they can’t remember the word, fine. But, they can still understand the concept. the less math they have to learn. in the Tens Family, instead of 11. Scroll back up and admire the picture. 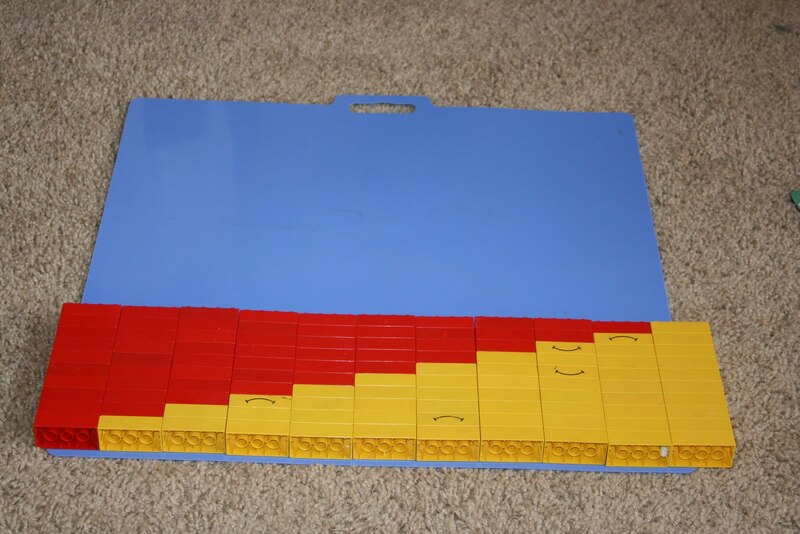 This is one of the reasons I love math! You so easily see we have a God of order. We finished off the math lesson by easily tackling the math worksheet. then add the third number. and I am really, really, ready to quit. 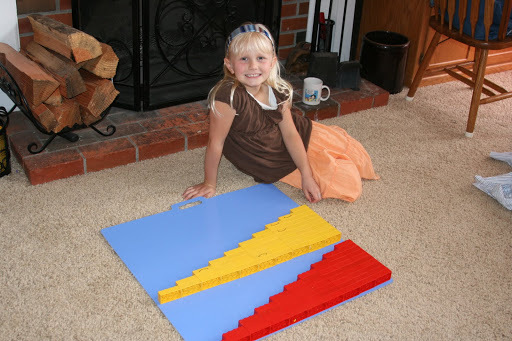 This entry was posted in Duplos, first grad math, first grade manipulatives, home schooling first grade, Tens Family on May 19, 2010 by Mindy. Very cool. I think that would work well with my son. He loves Legos! 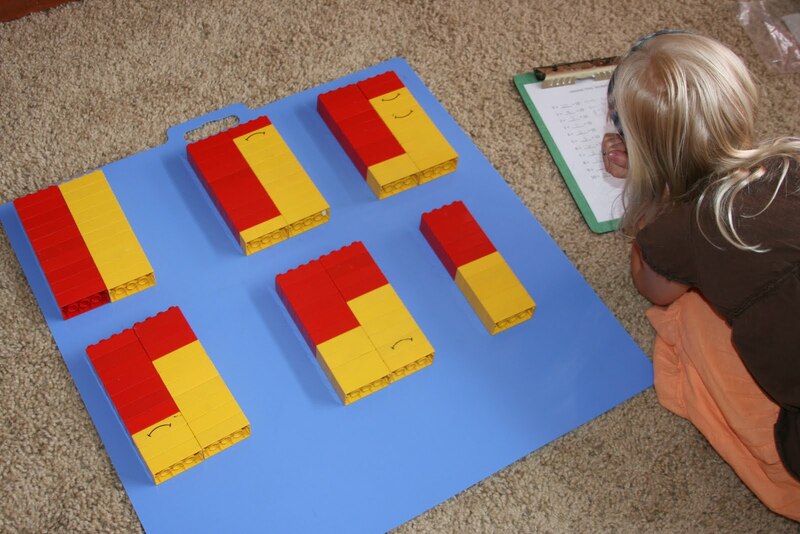 It's great for the kids to have visuals to put the concepts clearly in their minds. Though my boys learning problems are mainly language ones, they are behind in everything else because of that. I sometimes still get out blocks to demonstrate things and they catch on much better.LeARniNg can be so much fUN!! Hi Mindy–Lori Miller Cline, with whom I went to college, sent me to your site because she knew I would enjoy it. Nice to meet you! THank you from the husband of a home-schooled girl who never quite got math; this might just be the picture she needs to understand algebra! I R a Colij gradjit myself and always admired those leaders of our country who were home-schooled (Andrew Johnson, by his wife) or self-taught (Abraham Lincoln, for the bar exam, among others). I was fortunate to have older siblings who taught me at home and let me read their textbooks when mine got boring, and teachers who gave me individual attention and even lessons and subjects to keep me continually involved and potentially learning; keep up the good work with your family!!!! Oh my word! this is great! I am going to get out the blocks! 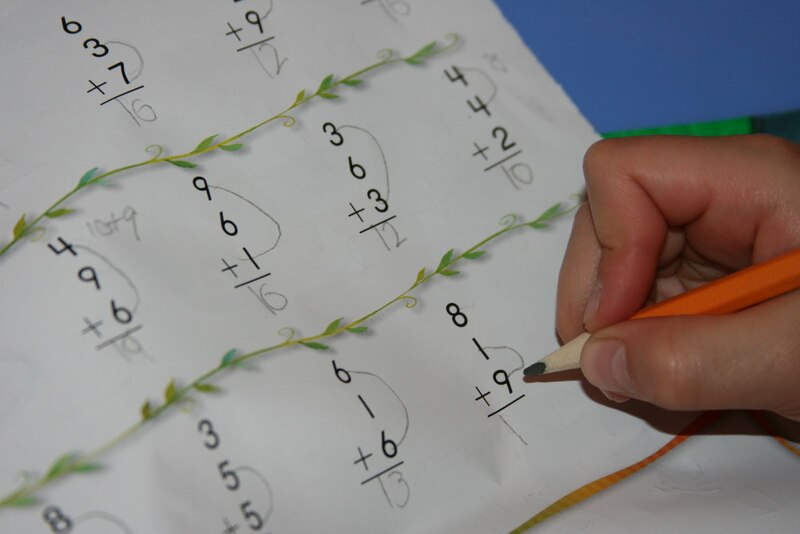 I love making math stick. The 10s concept is fantastic. When my 3rd grader caught onto that reality, math suddenly got a lot easier!We just made a 10s family "craft" with my almost 5 year old twins. They are far from grasping it, but ya gotta start somewhere! I promise I am not going to comment on all your blog posts, on both blogs. But this is a great idea! I'm going to use it, thanks!